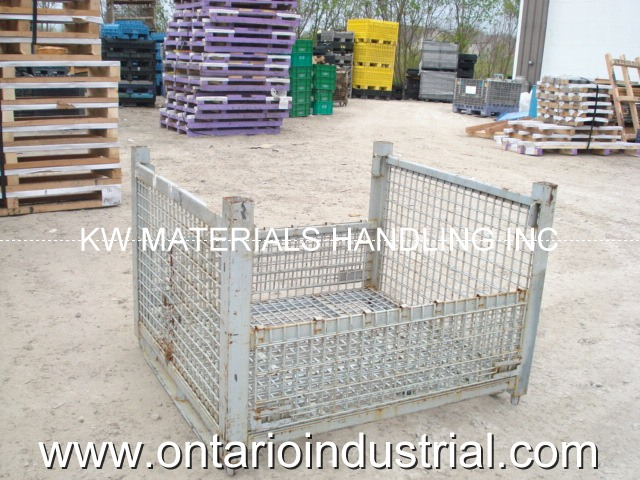 KW Materials Handling is your source for used Ford ZE-13 style heavy-duty wire mesh containers. We have sold thousands of these used automotive containers. 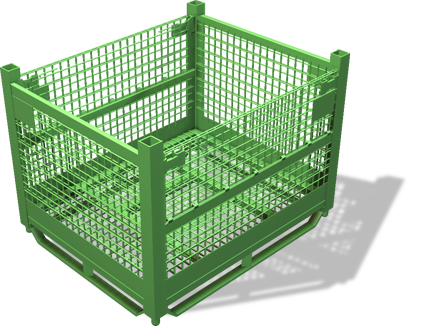 These bins are super heavy-duty and offer years of reliability for the automotive industry. 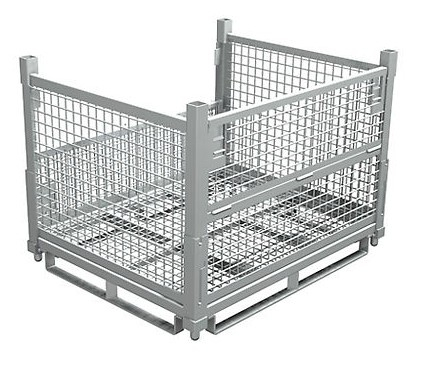 The standard dimensions on the ZE-13 wire mesh containers are 53" x 48" x 38"high. They come with two half drop gate on the 53" side. Constructed of heavy-duty wire mesh sides and floor. These containers are rated for 4000 lbs and stack up to 4 high. Fork stirrups are on the 48" side and they have pin feet for positive stacking. These are the perfect bin for stampings or really heavy-duty applications. KW Materials Handling specializes in finding large quantities of containers. We have access to the largest dealer network of bins and containers in North America. We offer quantity discounts on truckload quantities.